There is a lot of interest at the moment on prevention – also known as risk reduction – of dementia. The prestigious Lancet Commission reported in July 2017, drawing together a raft of evidence from prevention to end of life care. Nine key messages were articulated including recognising the numbers of people with dementia, being ambitious about prevention, caring for carers, managing symptoms, individualising care, planning for the future and protecting people, looking at end of life and embracing new technology. In terms of prevention, the latest research, which has attracted a lot of attention, found that as many as one in three cases of dementia could be prevented. Nine key risk factors thought to contribute to the risk of dementia came to light: hearing loss, education, midlife hypertension, midlife obesity, late life depression, diabetes, physical inactivity, smoking and social isolation. These risk factors make up 35 per cent of risk – the other 65 per cent is thought to be due to unavoidable factors, such as how old you are and what your parents are like. What may have surprised many people was that unaddressed midlife hearing loss was the most significant risk factor, being responsible for 9.1 per cent of people developing dementia. This may in part be that both conditions are common and that way of calculating risk – the Population Attributable Risk, reflects this. Over the last few years, there has been growing evidence of a link between hearing loss and dementia. There is an obvious link with ageing – the majority of people with dementia are over 70, and almost three quarters of people over 70 have hearing loss. There is also a compelling dose response effect – mild hearing loss doubles the risk of developing dementia, moderate hearing loss triples the risk, and severe hearing loss increases the risk fivefold. Hearing loss can also be misdiagnosed as dementia and vice versa. Clinically, impairment of hearing can adversely affect cognitive testing and can cause a diagnostic challenge. The concern that Action on Hearing Loss saw from some of their supporters and people with hearing loss when The Commission was publicised is understandable. Many people didn’t consider hearing loss an ‘avoidable’ risk factor. While it’s true that there are no definitive cures for hearing loss, there is good evidence that proper diagnosis and management of hearing loss reduces the additional risk of dementia caused by that loss. Hearing aids, particularly when adopted early, are an extremely effective intervention that reduce not only the risk of, but potentially the impact of, dementia and other associated co-morbidities, including depression. Action on Hearing Loss recommends that health and social care practitioners ask all patients aged 55 and over screening questions for hearing loss, providing timely referrals to audiology to all who answer ‘yes’ to any of them. Studies show that the earlier someone is fitted with a hearing aid, the more likely it is that they will wear it and enjoy its full benefits. Given what we know about the links between hearing loss and dementia, it’s imperative that the millions of people that can benefit from hearing aids are encouraged to do so. While we cannot say for sure that hearing aids are a sure fire way of preventing dementia – it would be imprudent not to take advantage of the clear benefits an easily applicable technology which will also have other health and social benefits can bring. Considering that hearing aids are famously cost effective when compared with the long-term costs of unaddressed hearing loss, encouraging health practitioners on the front line to be proactive will yield long-term benefits. First, all audiologists might become dementia friends. Easily achievable by logging on to: dementiafriends.org.uk. Second, raise the profile of the screening questions for hearing loss with all clinicians working with people with dementia. Third, plan an event to identify the key issues in relation to research in this are research programme – any thoughts on this would be gratefully received. For further information, see: Deal JA, Sharrett AR, Albert MS, Coresh J, Mosley TH, Knopman D, Wruck LM and Lin FR, 2015. Hearing impairment and cognitive decline: A pilot study conducted within the atherosclerosis risk in communities neurocognitive study. American Journal of Epidemiology, 181 (9), 680-90. 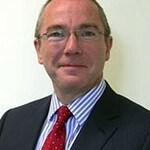 Paul Breckell is the Chief Executive of Action on Hearing Loss. He has been in this position since August 2012 and has worked for the charity since July 2007. Action on Hearing Loss is the new name for RNID; the charity working for a world where hearing loss doesn’t limit or label people, where tinnitus is silenced and where people value and look after their hearing. Prior to this, Paul was the Finance and Corporate Services Director of the Church Mission Society for seven years and the Head of Finance at the HIV/AIDS healthcare charity Mildmay for three years. He is a chartered public finance accountant (CIPFA), having trained whilst working with the Audit Commission. 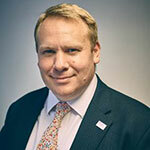 Paul is a past Chair of the CIPFA Voluntary Sector Panel and a past member of CIPFA Council. Paul is a Trustee of the Roffey Park Institute, a Commissioner on the ILC Commission on Hearing Loss and the Chair of the NHS England Working Group on the Early Diagnosis of Hearing Loss. Paul a former Chair of the Disability Charities Consortium and the Charity Finance Group. He writes and speaks on a number of topics in relation to hearing loss and disability as well as on leadership, organisational development, governance and finance in the ‘beyond profit’ sector. He was named one of Cityweath Magazine’s top 10 charity Chief Executives of 2016.